After nearly a decade of rumors about its existence, the world finally got to see a car that Alfa Romeo really should have built: the cabriolet version of the GT coupe. 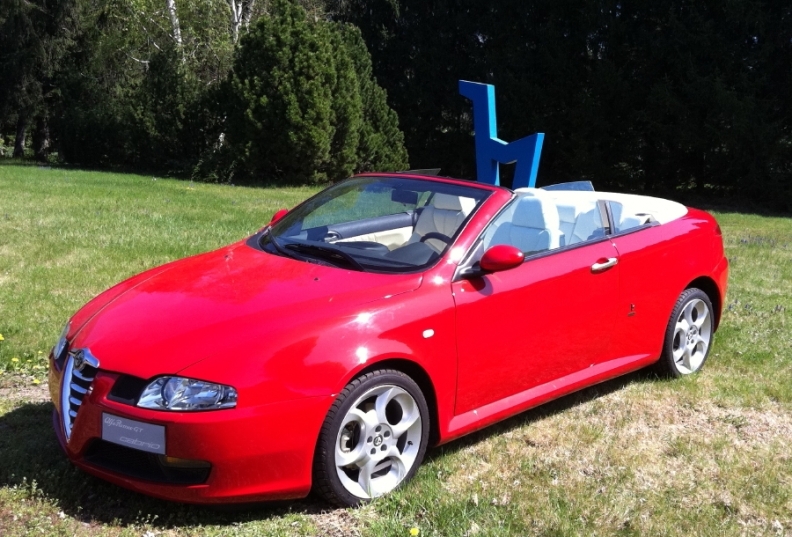 Italian design house Bertone created the fascinating four-seat softtop concept for Fiat's sporty subsidiary in 2003 but kept it hidden from the public until April 6. The car, which was revealed this week as part of Bertone's first media event since the company was reorganized in late 2009, is a bitter reminder of what could have been for both Bertone and Alfa. Bertone designed and engineered the Alfa GT coupe, a brilliant mix of the Alfa 147's the front end, the 156's central portion and front seats and the 159 wagon's rear end and reclining rear seats. The company desperately wanted its carmaking arm, Carrozzeria Bertone, to produce the GT coupe, but Fiat decided to build it at its plant in Pomigliano, central Italy, alongside the 147 and 159. Bertone then tried to convince Fiat to let it make the GT cabriolet. "[Former Alfa CEO] Daniele Bandiera told us they loved the car and that we were going to build it," Lilli Bertone, who is the company's chairman and widow of longtime company boss Nuccio Bertone, told me this week. But that never happened as Alfa decided instead to build the Alfa Spider, which was based on the Brera coupe. Bertone created the four-seat Alfa GT softtop cabriolet concept in 2003 but kept it hidden until April 6. The loss was devastating to Carrozzeria Bertone, which would soon seek bankruptcy protection and in late 2009 sold to Fiat, which renamed it Officine Automobilistiche Grugliasco. Bertone's design business still exists. Perhaps it is poetic justice that the Alfa Spider was a flop. A mere 12,488 units of the car, which design legend Giorgetto Giugiaro penned and Bertone rival Pinifarinia got to make, were built from 2006 to 2010. The Brera also was a disappointment with 21,786 units made from 2005 to 2010. Meanwhile the Bertone-designed GT coupe won 80,832 customers during its seven-year life cycle (2003- 2010). Would the GT cabrio have saved Carrozzeria Bertone? Probably not, given the troubles plaguing the entire contract manufacturing sector in Europe. Would that car have outsold the Alfa Spider? Absolutely.